A Day in the Life - ay jay kay squared.ay jay kay squared. ← New fence. Day 4 & 5. We have had a very full week. Exciting, even. I suppose that’s what happens when people set out to do something and actually get it done, eh? Is that what the outside world does? What’s the word – accu accio accomplishment! That’s it. Apparently we don’t do that sort of thing around here a lot. 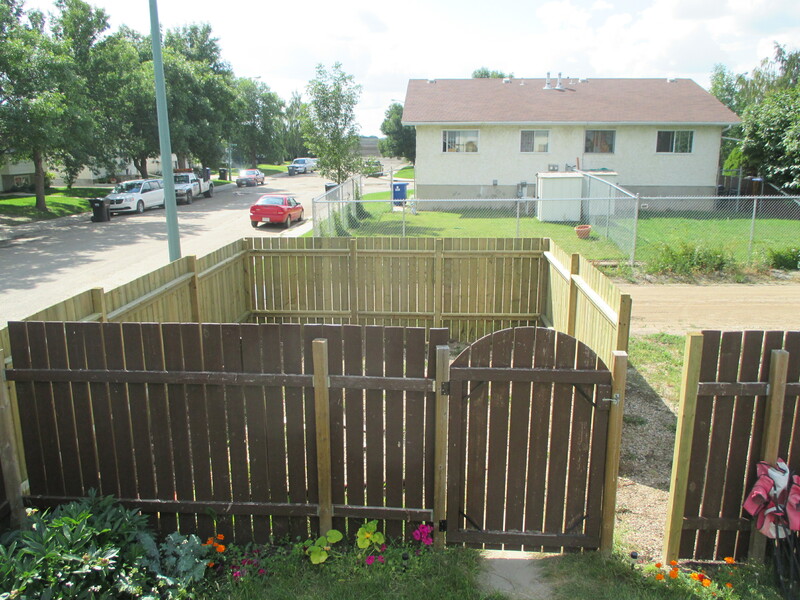 Yes, we have mostly accomplished the fence. As Andy said yesterday, we need the gate, and we need to remove the back of the old fence, but in my eyes, we’re basically done (I’ll bet Andy is cringing as he reads that, because that puts the responsibility on him to do the gate. I cop-out.). My next big project is to paint a little corner and put up a wall-mounted desk for the kids’ craft area. Oh, and clean the area first. No problem, right? And yes, that is a can of tomato paste. Speaking of cleaning, does anyone else have issues with keeping an area clean? I’m all about trying to get rid of items that are meant for one use but in reality are used to stock pile crap. For instance, we have an ikea-type chair that is meant to hold someone sitting on it. Since moving here, I don’t know if it has ever truly served that purpose. Instead, it holds oceans of miscellany. I keep trying to clean it off, but it’s like a vacuum for junk in a room. Therefore, we are getting rid of it. Well, that’s really only part of the reason. The other part is that we have no room for it. Perhaps that’s why it gets heaped with stuff. The problem I have is this: I’m not confident getting rid of it will solve the mounding issue. I get a glimpse that perhaps the problem rather lies with the responsible people inhabiting the area. Whatever. We’re getting rid of it. It’s a start, right? 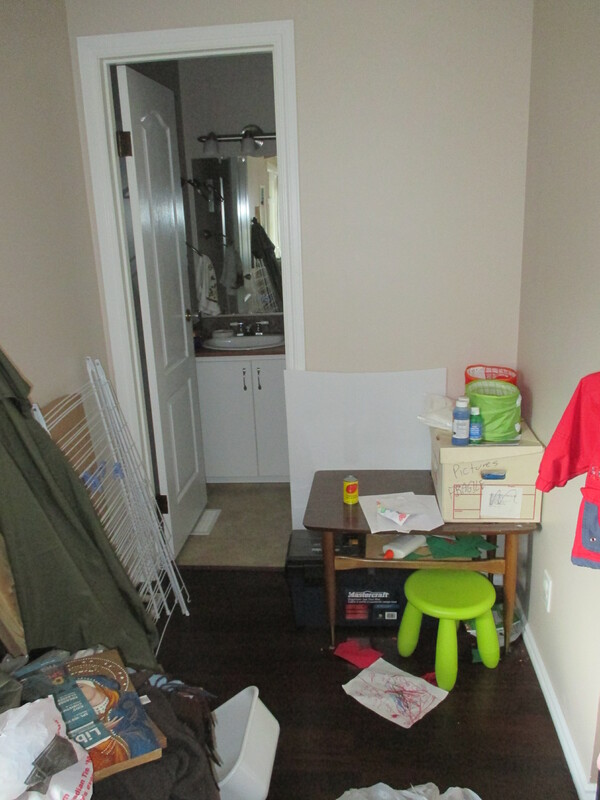 This entry was posted in Uncategorized and tagged fence, harry potter, paint, piles of crap. Bookmark the permalink. How about reuse the old gate or at least the old gate hardware? I also wonder where all the stuff that gets put on the chair will end up once the chair is gone….lol…Yep it’s a start! We will be reusing the gate hardware, but the gate itself is about a foot short of the new gateway, so that won’t work.